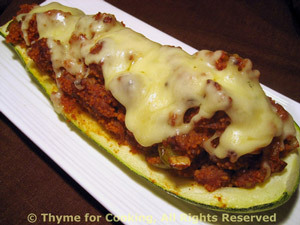 Zucchini Stuffed with Couscous and Sausage, Thyme for Cooking gourmet menus. Our first stuffed vegetable of the season. 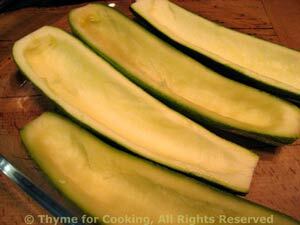 You could use 2 smaller squash in place of 1 large.